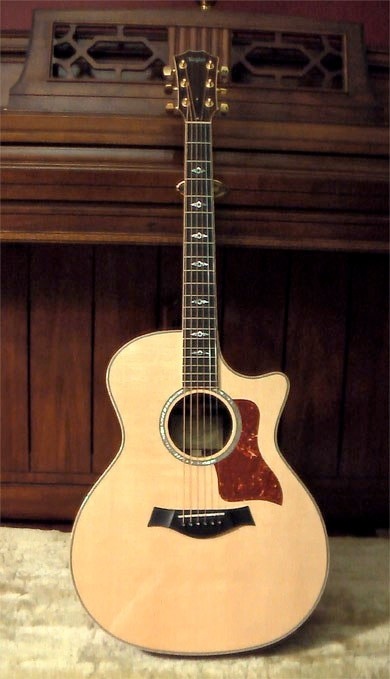 The 2013 Taylor 814ce has been discontinued. See the totally revamped 2014 model. This page has been left for comparative purposes. 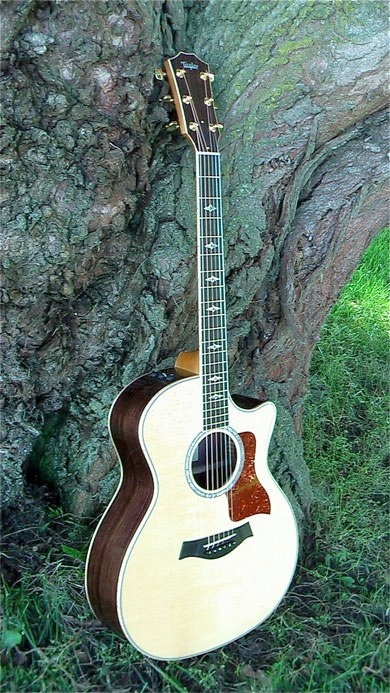 The flagship series of the Taylor acoustic line traces back to Bob Taylor’s first rosewood guitars, which helped establish a modern acoustic guitar sound. Contemporary appointments include curly maple binding and a pearl fretboard inlay, which together add a splash of refined style. After playing this guitar first hand, it’s stand out qualities for me were the overtones in the trebles which added a complex glassy shimmer, and the easy action which made soloing effortless.